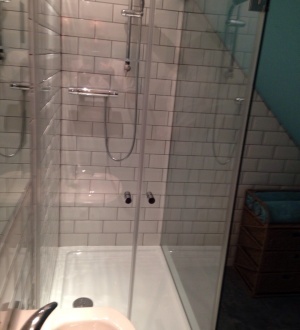 Do you require a glass shower screen fitted in to an awkward space? 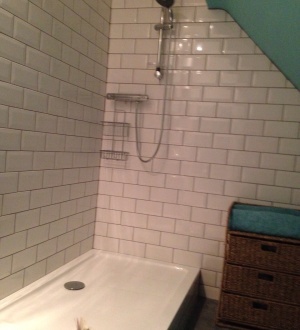 Is a walk in shower enclosure is needed? Or have you simply damaged your existing screen and are looking for a replacement? 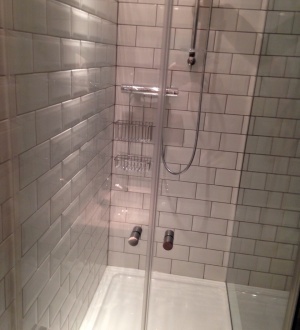 Glass shower screens are an important part of your bathroom. First of all not only do they have a purpose to keep water contained, they can also transform your bathroom. Here at Aaran Glass we have over 35 years within the glass and glazing industry and offer a bespoke shower screen service. Conforming with British Safety Standards, all of our glass is made to measure to meet your requirements. Our shower screens can be fitted with clear or obscured toughened safety glass with top of the range fittings and fixtures. A variety of shower hardware can be used such as; track systems, u-channels, glass to wall hinges, glass to glass hinges, wall brackets and much more, we have something to suit your needs. We can fit into existing frames or create new shower screens for bath and shower enclosures and are able to supply and fit made to measure designs based on your requirements. Alternatively if you would prefer to email us any information/ sizes/ drawings/ photos that you may have, please click here.